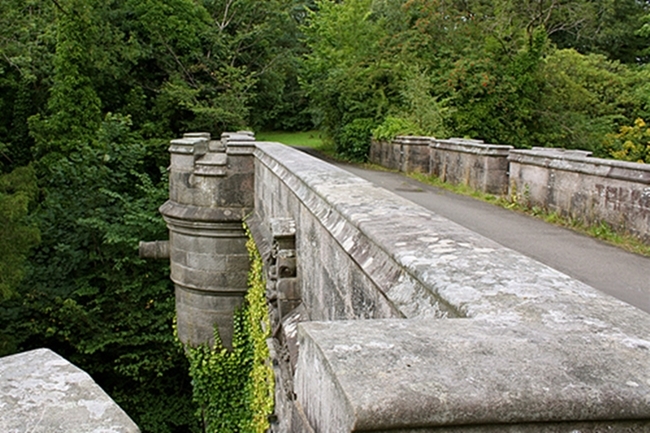 Found near the village of Milton in Scotland, this bridge is the location of numerous suicides – over 600 to be exact. Every year since its construction roughly 12 to 15 dogs launch themselves to their deaths…that’s right…dogs. Why? Well although there are numerous theories but no one really knows. One thing is for sure though ‘ the dogs are hell bent on leaving this planet behind as some people have even witnessed dogs jump off, survive, climb back up, and jump off again. The Ring is a remake of Ringu, a 1998 Japanese horror film that draws on the folk tale, BanchA? Sarayashiki. As legend tells it, there was once a beautiful servant named Okiku who worked for a samurai, Aoyama Tessan. Okiku often refused her mater’s amorous advances. Despite his trickery, Okiku remained solemn. Aoyama became enraged, and threw her down a well to her death. It is said that Okiku became a vengeful spirit (Onryo?) who tormented her murderer. The Ring may have also been inspired by The Tragedy at Road Hill House. In June 1860, 3-year-old Francis “Saville” Kent disappeared from his home. His body was found in a privy on the property. While the boy’s nursemaid, Elizabeth, was initially arrested, Francis’s sister, Constance Kent, would confess to the murder five years later. Themes from The Ring and the Overtoun Bridge merge in the field of psychiatry. In the film, the horses (not dogs) at the Morgan ranch went mad and drowned themselves, a fate similar to the horse on the ferry on the way to Richard Morgan’s island home. The horses’s intuition (and perhaps that of dogs on the Overtoun Bridge) is scientifically based. As prey animals, horses have hearts 5x the size of humans’. Their electromagnetic pulse (torus) results in a coherent heart rate that synchronizes with humans (or mylings). Institutions of higher education such as Rutgers Robert Wood Johnson Medical School take advantage of the coherent heart rate of horses by partnering with equine centers (http://www.springreinsofhope.com/) to run innovative curricula that use horses to teach medical students nonverbal communication to improve bedside manners. Two taglines from the movie highlight additional teaching points in psychiatry. First, “she never sleeps” hallmarks the inevitability of death. Interestingly, a story with the same moral, Appointment in Samarra, shares its title name (synonym) with The Ring’s evil antagonist. Second, “she only wants to be heard” represents a major theme in patient-centered medicine, with patient histories – and the need for patients to convey them in a milieu of unconditional positive regard (Carl Rogers) – being a critical component of healthcare. A final teaching point focuses on whether Samara is “pure evil.” The Ring is a fictional case study of a “bad seed” (see Damien from The Omen, 1976) in the “nature versus nurture’ discussion of the etiology of Antisocial Personality Disorder.